This drinking aid is designed to allow drinking without lifting the head. 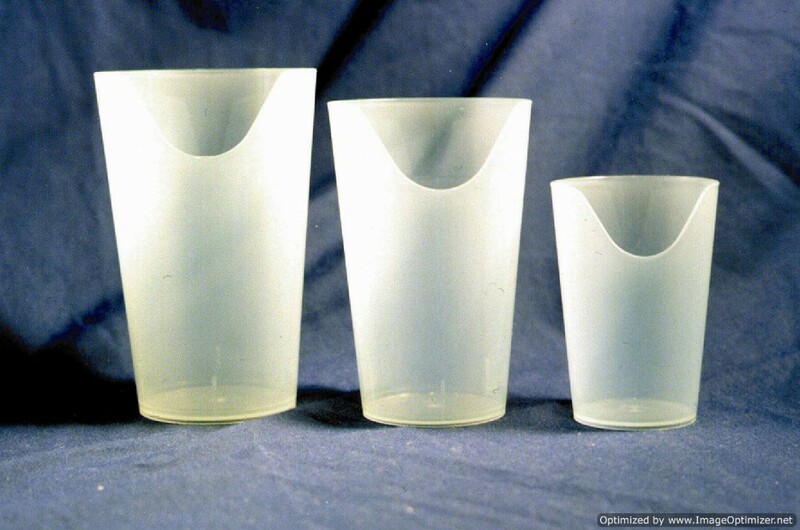 Nosey cups make drinking easier when the head and neck are immobilized or must be kept in particular position. 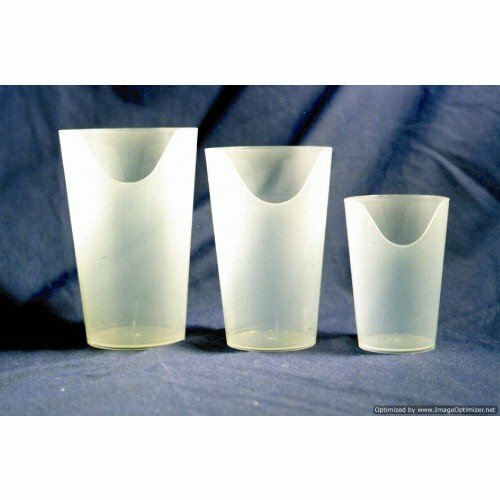 These drinking aids are dishwasher safe and have a smooth, molded and transparent drinking surface. My husband loves the cups because are easier for him to drink from. he uses the small one every morning for his juice at breakfast. mom used these cups in rehab and I was really pleased to find them on line. She is able to drink liquids much easier now. Great product, wish Ihad thought of it. works well for giving small amounts of water. it nice to have a veriety of sizes. i leave one in the bathroom for small sips of water and use after brushing teeth.